PBS’s Emmy Award-winning series, This Old House, is the home improvement show that launched a genre. From its humble 1979 origins as a local series on Boston’s PBS affiliate (WGBH), the series has transformed itself into a wildly popular brand with two nationally broadcast shows (This Old House & Ask This Old House, PBS), a syndicated show (This Old House: Trade School, CW), a magazine, a content-rich website, and more. This year the team has had the enormous undertaking of unarchiving 35 years of the show to make it available through a subscription service — in addition to their already breakneck work pace. “This effort has required huge amounts of video restoration,” states Svirsky. “Continuum’s Image Restoration features were instrumental for assisting us process nearly 750 episodes. Having to fix them by hand would not have been feasible.” Among the most used Continuum filters were the Dropout Fixer, Flicker Fixer, and Pixel Fixer. Svirsky’s “Mr. 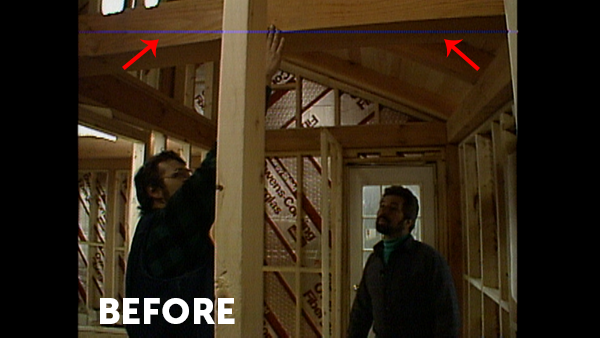 Fix-It” can-do attitude goes beyond archival footage just like the team of architects and carpenters behind the amazing finished projects on This Old House. He’s often called in to improve poorly shot footage from the field, color correction, and even logo removals and screen replacements for which he turns to Boris FX sister product, Mocha Pro 5. “I’ve used Mocha as long as it’s been available,” notes Svirsky.